After using my iPhone 6S Plus for some months I’m quite disappointed regarding one of the highlights Apple announced last year. 3D Touch is definitely not that big thing. I never really know in which context an app supports 3D Touch. Also, there are lots of useless applications of this technology, e.g. 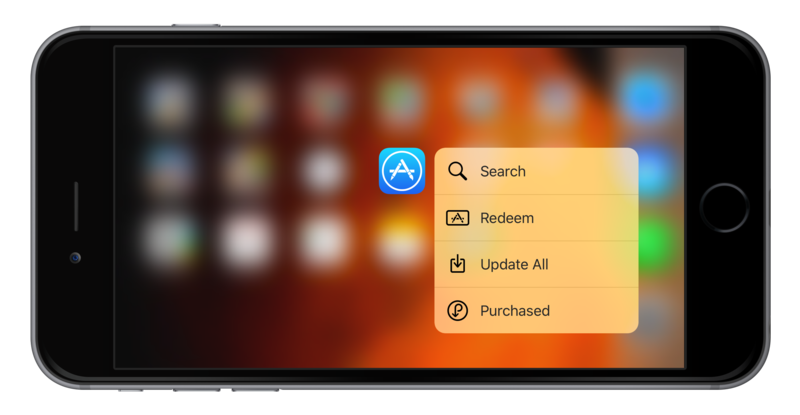 3D Touch on Apple’s app Apple Store. Shopping, Accessories, Stores, and Orders are the functionalities in the context menu. Does Apple really think that I will use these functionalities more than once or twice a year? So where’s the benefit for me to use 3D Touch instead of just open the app and navigate through it. Another example is the Google+ app. Does Google really think that “Create Post” function is a frequently used feature for the majority of members? I admit that there are also useful implementations like 3D Touch for Apple’s Mail app. But do we really have to pay for a high tech touch screen albeit a long press would do it also? 3D Touch? I personally don’t give a damn. I just want more energy to let my device live longer.